Happy Friday! Sorry I've been missing the last 3 months have been insane and a little rough for us. In August Hubby suddenly became unemployed. The contract that hubby was working on suddenly pulled the $$$ which then resulted in lawyers and here we are 3 month's later and still don't know when he'll be back to work. We were going to Onstage in Orlando Florida but now have had to cancel :( So sad that I will miss seeing my friends. I also want to say thank you to my customers for your support during this time you all are so great and I am so lucky to be your demo! My favorite Halloween Bundle out of the Holiday Catalog this year is the Spooky Sweets Bundle. It makes the perfect little 3 x 3 note cards too! These are great for giving to co-workers, friends, neighbors, customers, teachers, children's class mates and etc. This is the Spooky Sweets Bundle is it not just cute! It is available in wood mount item #149974 or clear mount item #149973. I love the imagery in the stamp set and love the bat punch. I'll be able to use it for halloween and for the kids year around. The first thing that popped into my head when I saw it is I am Bat Man. lol yeah maybe have watched that too much. It also coordinates with the Twinkle Builder Punch. Cut 1 Whisper White thick card stock at 3" x 6". Score at 3" on the Simply Scored Scoring Tool. Cut 1 Mango Melody card stock at 2 3/4" x 2 3/4" and zip through the Big Shot with the Swirls and Curls Textured Embossing Folder. Zip a piece of Basic Black card stock through the Big Shot with the Swirly Scribbles Thinlits. Adhere to the center of the Mango Melody card stock. Cut a piece of Toil & Trouble Designer Series Paper and adhere across the Mango Melody card stock. Tie a piece of Solid Basic Black Baker's Twine around the layers and adhere the Mango Melody to the Whisper White card base. Zip a piece of Vellum card stock through the Big Shot with the Stitched Shapes Framelits. Adhere to the card towards the right. Ink the stamp from Spooky Sweets in Gorgeous Grape and stamp onto a piece of Whisper White thick card stock. Zip it through the Big Shot with the Stitched Shapes Framelits. Adhere to the card towards the left. Using the Spooky Bats Punch; punch out a bat in Basic Black card stock. Adhere to the card front. Finish by adding a Metallic Pearl to the card. On the inside I added a piece of Toil & Trouble Designer Series across the bottom. And of course stamp the bats in Gorgeous Grape on a 3 x 3 Envelope. So cute I've listed a set of these in my Etsy Shop too! I painted the wood blocks with orange chalk paint and using my silhouette I cut out faces. Then drilled holes at the top and painted a dowel in brown chalk paint and cut it down to create stems. I finished them by adding some Granny Apple 1/2" Textured Weave Ribbon to the stems. Are these not stinking cute? You can turn them around and use them for fall as we made them to be reversible! We made a batch up for close friends and listed them in my Etsy Shop too! Of course I need to create gift boxes to hold those cute little pumpkins to give :) The Baker's Boxes are perfect for holding gifts! I've also added the Baker's Boxes to my Etsy Shop too! You will need 1 Baker's Box. I decorated the top only. Cut 1 piece of Mango Melody and zip through the Big Shot with the Swirls and Curls Textured Embossing Folder. Adhere to the Baker's Box lid. Cut 2 different patterns of Toil & Trouble Designer Series Paper. Adhere to the Mango Melody card stock. Cut a piece of Black 3/8 Glittered Organdy Ribbon and tie around the Baker's Box so it will slide off the box. Zip a piece of Vellum card stock through the Big Shot with the Stitched Shapes Framelits. Adhere to the Baker's Box, make sure you don't attach it so the ribbon can slide off. Ink the stamp from Spooky Sweets in Gorgeous Grape and stamp onto a piece of Whisper White thick card stock. Zip it through the Big Shot with the Stitched Shapes Framelits. Adhere to the right of the Vellum circle. Using the Spooky Bats Punch; punch out some bats in Basic Black card stock. Adhere to the the Baker's Box. Finish by adding some Metallics Sequins. I filled the Baker's Box with purple filler and placed the wood blocks inside. Everyone loved getting these blocks too! It continues to be wild here for us but we are doing great! It's really been insane; work, work, work, wedding, family events and pretty much cutting and hauling firewood nonstop! This is our only source of heat and the clock is ticking here before winter arrives with it's -40 below weather, so hubby and I pretty much have been eating, breathing and sleeping firewood! lol But I am very happy to say we are half ways finally!!! Now for my Big News this past weekend my baby brother got engaged to his girlfriend!!!!!!!!!!!!!!!!! Our family couldn't be more thrilled!!!!!!!!!!!!!!!!!!!!!!!!!!! WOW right? Happy that my brother found someone to love him as much as we do! Life has been a whirlwind for sure! I am still playing catch up here and I know ever time lately I say I will have lots to share then life gets in the way. lol But seriously I am trying to get back into the swing of things. With my disease working like we have been really takes a toll on me and I can't push my body it just won't let me. When my body says nope you need to sleep and rest now it's what has to happen or I end up having a seriously bad attack. It's one of the really frustrating things about this stuff. You may have seen this card already. I created this for the Stamp Review Crew Jar of Haunts Hop as promised here are the details. My card is using the Jar of Haunts Photopolymer Stamp Set item #142247 and I also paired it with Ghoulish Grunge Stamp Set (W) item #142238 (C) item #142241 from the Holiday Catalog. This set is a lot of fun and perfect for Halloween. Did you know it coordinates with Everyday Jar Framelits? Sweet another set to go with the framelits! Zip the Basic Black card stock through the Big Shot with the Brick Wall Embossing Folder. Ink the stamp from Ghoulish Grunge Stamp Set in Pumpkin Pie Ink and stamp onto the Pumpkin Pie card stock. Stamp little spiders onto the web from Jar of Haunts Stamp Set in Tuxedo Black Memento Ink. Add some Halloween Night Specialty Designer Series Paper and tied some Halloween Night Baker's Twine around the layers. In the top right corner I frayed some of the 3/8 Glitter Ribbon and attached in the corner to look like spider web with a Halloween Night Enamel Shape. I stamped the jar from Jar of Haunts Stamp Set in Tuxedo Black Memento ink onto Whisper White card stock then zipped it through the Big Shot with the Everyday Jar Framelits. Then stamped the greeting in Pumpkin Pie and added a spider. I attached some 3/8 Glitter Ribbon and Basic Black Metallic Thread behind the jar. I kept it simple on the inside I added some Halloween Night Designer Washi Tape to the Whisper White card stock. Technorati Tags: #goulishgrunge, #halloween, #jarofhaunts, #rubberredneck, #stampinup, Big Shot, Brick Wall Embossing Folder, Demonstrator Holly Krautkremer, Everyday Jar Framelits, Ghoulish Grunge, Halloween, Halloween Night Specialty Designer Series Paper, Jar of Haunts, rubberredneck, Stampin' Up!, Stampin' Up! My October Customer Promos are here! Thank you all for your continued support! If you have placed orders for this month already with me your orders do qualify for my customer promos. Lots of stuff to share with you all today! Place an order through my Stampin' Up! On-line Store from October 1-31, 2016 and receive this card and a free mini pdf when you use the hostess code above. I will email you the mini pdf and mail out the card. If you would like to join my monthly newsletter email list please email me at rubberredneck@gmail.com I send out a monthly new's letter with Stampin' Up! Sales, My Promotions and etc. I don't share your email addy with anyone! Purchase $25 or more (before shipping and tax) with me from October 1-31, 2016 and receive a brand new roll of Basic Black Solid Bakers Twine*. All details are on my Customer Promotions Page. Buy three packages of Designer Series Paper and get one free! That’s great news since everyone can use more Designer Series Paper. This sale includes Designer Series Paper from both the annual catalog and the recently released holiday catalog (not including Specialty Designer Series Paper or Designer Series Paper Stacks). SWEET!!! Perfect Halloween Color Combo for you all! These are such spooky and fun colors together. Ink the ghosts from Spooky Fun Stamp Set in Smoky Slate Ink and stamp onto Smoky Slate card stock. Ink the witch in Basic Gray onto Basic Gray card stock. Add two different patterns of Halloween Night Specialty Designer Series Paper. Tie some Solid Basic Black Baker's Twine around the layers. Die cut out Basic Black, Old Olive and Whisper White card stock using the Big Shot and Layering Squares Framelits. Stamp happy halloween and spider from the Spooky Fun Stamp Set in Tuxedo Black Memento Ink onto the Whisper White square. Stamp the pumpkins from Spooky Fun Stamp Set in Tuxedo Black Memento Ink onto Whisper White card stock. Zip it through the Big Shot with the Halloween Scenes Edgelits die cutting them out. Color the pumpkin's in using the Blender Pen and Pumpkin Pie Ink Pad. Color the spider in using the Blender Pen and Basic Gray Ink Pad. Finish by adding a Halloween Night Enamel Dots. The inside I kept simple by adding a piece of Smoky Slate and Whisper White card stock. In the bottom right corner I stamped the ghosts in Basic Gray. Technorati Tags: #halloween, #promo, #pumpkins, #rubberredneck, #spookyfun, #stampinup, Demonstrator Holly Krautkremer, Halloween, Halloween Night Designer Series Paper, October Customer Promo, Rubber Redneck, Spooky Fun, Stampin' Up!, Stampin' Up! Today I am sharing the second part of my mini album idea using the the Project Life Seasonal Snapshot 2015 Bundle item #140308 (pg.38) in the Holiday Catalog. Sorry I didn't share on Friday like planned I lost track of time while working on the cook books. If you would like to see the first half of this visit HERE. You can also purchase each item individually and the best part is some of them are on the Stampin' Up! Year End Sale!!!!!!!!!! THE STAMPIN' UP! YEAR END SALE!!! It's time to stock up and save on Stampin’ Up! products that were added to clearance today. Up to 60% off PLUS many items on the HOLIDAY RETIRING LIST have been discounted, some up to 40% off!! These products are ONLY WHILE SUPPLIES LAST so you won't want to wait! Wow that is an AWESOME DEAL 40% OFF!!! Do you know someone who loves to scrapbook or loves project life? This would be PERFECT for a Christmas Gift!!! My husband is a big goof ball. The kids were getting kinda bored while we were going through the corn maze so he started to hide behind the corn stalks playing hide and seek with them. It worked they got over being bored fast. lol I took the stamp from Project Life Seasonal Snapshot 2015; inked in Tangelo Twist and stamped down the right side of the cards. I added few embellishments from the Project Life Seasonal Snapshot 2015 Accessory Pack. On the back of the picture the card I picked had So Very Thankful on the back which I thought was fitting for the day. I have a lot of days that I don't feel great and that day I didn't hurt or feel blah from the meds. It was truly a fun day for us! I added my comments for the day and stamped in the bottom right corner. We got one of those rare moment pictures with my cousin's boys. I love this picture I think it's one of my favorites from 2014!! I kept it simple just used some of the items from the Project Life Seasonal Snapshots 2015 Accessory Pack and a Rhinestone Basic Jewel. The back of that card was perfect to kick off some of my favorite pictures of Halloween. I decorated this card using Project Life Seasonal Snapshots 2015 Accessory Pack. One of my other cousin's sent me pictures of our godson and his sisters dressed up for Halloween. I added the picture to the back of the card then stamped the wicked from Project Life Seasonal Snapshot 2015 Stamp Set in Tuxedo Black onto Whisper White card stock. I zipped it through though the Big Shot with the Tags & Labels Framelits die cutting it out. Then added it to the picture. This is a picture of my cousin's kids with there dog buck all ready to go trick treating. Mom I think was being very brave giving them swords. lol They are 5 hours from us so my cousin is always sending me pictures of the boys since I can't be there all the time. So glad for all these new phones! I kept this simple too just added the stickers at the top from Project Life Seasonal Snapshots 2015 Accessory Pack and a Rhinestone. I saved the best for last! My Brother-in law and his wife dressed up for there Halloween Party and then sent me a picture. I thought this was AWESOME. I laughed so hard at them. I kept this simple too just added the stickers at the top from Project Life Seasonal Snapshots 2015 Accessory Pack. Hope you all liked this mini album as much as I do! Technorati Tags: Demonstrator, Holly Krautkremer, Mini Album, PLxSU, Project Life, Rubber Redneck, Scrapbooking, Seasonal Snapshot 2015, Stampin' Up! Save 5% in my ETSY STORE on all orders!!! Use Coupon Code:HALLOWEEN2015. At checkout, please enter the code: HALLOWEEN2015 and your discount will be applied before finalizing your order! Up next is my customer promo gift for October. Everyone who placed an order on-line through October received this cute little gift! To those of you that placed an order thank you so much!! All orders, kits, prizes and thank you gifts shipped out yesterday so be stalking your mailbox :) This project doesn't really take much so I didn't do a video tutorial on it. It uses the Howl-o-ween Treat Stamp Set (W) item #139687 (C) item #139690 from the Holiday Catalog (pg. 49). I just can't get enough of this fun set! * You will need one Spider Web Doily. * Cut 1 piece of Happy Haunting Designer Series Paper 1" x 2 3/4". Wrap it around a Hershey Nugget and attach to the Spider Web with a Glue Dot. * Die cut out some Crushed Curry stars using the Big Shot and Boo to You Framelits. * Cut 7 1/2" of Silver Metallic Thread. Create some loops and attach to the Spider Web Doily. * Stamp the spider from Howl-o-ween Treat Stamp Set; ink it in Blackberry Bliss and stamp onto Very Vanilla card stock. Zip through the Big Shot with the Boo to You Framelits die cutting it out. * Stamp Happy Halloween from Teeny Tiny Wishes Stamp Set in Bermuda Bay and stamp onto a piece of Very Vanilla card stock. Zip through the Big Shot with the Bitty Banner Framelits die cutting it out. Attach everything to the Spider Web and add some Rhinestones. Perfect little quick and cut Halloween treat!!! These would be great pretty much for anyone!!! Technorati Tags: Big Shot, Boo to You and Bitty Banner Framelits, Demonstrator, Halloween, Holly Krautkremer, Howl-o-ween Treat, Party Favor Customer Promo, Rhinestones, Rubber Redneck, Silver Metallic Thread, Spider Web Doilies, Stampin' Up! I will have a few more fun Halloween projects to share today so there will be a couple more posts. Today's share is a card I made for a bonus idea for my Rubber Redneck 9 Days of Halloween On-line Class Class members get a sneak peek to some of my upcoming projects that will be posted on my blog! It uses the Howl-o-ween Treat Stamp Set (W) item #139687 (C) item #139690 from the Holiday Catalog (pg. 49). I added this to my Etsy Store too! * Stamp the image from Teeny Tiny Wishes Stamp Set in Tuxedo Black Memento Ink across the bottom of the Whisper White Thick Card Stock. This was a technique I showed how to do in the class. * Add some Happy Haunting Designer Series Paper and Brights Designer Series Paper Stack to the card. * I added a piece of Happy Haunting Designer Washi Tape across the bottom and then a Spider Web Doily. These are my favorite thing from the Holiday Catalog!! * I took the stamp from Howl-o-ween Treat Stamp set; inked in Versa Mark and stamped onto the Basic Black card stock. I then embossed it with White Embossing Powder and Heat Tool onto Basic Black card stock giving it a chalk board look. * Add some Rhinestones randomly. Technorati Tags: Demonstrator, Embossing, Etsy Store, Halloween, Halloween Card, Happy Haunting, Holly Krautkremer, Howl-o-ween Treat, Independent Stampin' Up! Demonstrator, Paper Crafts, Stampin' Up! Today's share is a card I made for a bonus idea for my Rubber Redneck 9 Days of Halloween On-line Class Class members get a sneak peek to some of my upcoming projects that will be posted on my blog! It uses the Cheer All Year Photopolymer Stamp Set item #139839 from the Holiday Catalog. I added this to my Etsy Store too! * I used some Typeset Specialty Designer Series Paper and Happy Haunting Designer Series Paper. * I added part of a Spider Web Doily. * Stamp the Happy Halloween from Cheer All Year Stamp Set in Tangelo Twist and stamp onto a piece of Very Vanilla card stock. * Zip the Very Vanilla card stock through the Big Shot with the Oval Framelits die cutting it out. Stamp the spiders from Cheer All Year Stamp Set in Tuxedo Black Memento Ink onto the oval. * Home for Christmas Enamel Dots and Iced Rhinestones finish off the card. Today's share is my October Hostess Club Project for my 6/$25 Hostess Club members!! Each month my club members receive a completed project that I created along with typed directions, video tutorial and a paper kit to recreate the project of the month. This is just one of the fun perks for being in my hostess club! My 6/$25 Hostess Club is perfect for anyone on a budget!! For all the details please visit my 6/$25 Club Page. If your looking for a club with a little more then my 6/$50 Hostess Club is the one for you! It has a few more special perks for club member's. For all the details visit the 6/$50 Hostess Club Page. * Cut a piece of Basic Black card stock and zip it through the Big Shot with the Circle Framelits to die cut it out. * Add some Happy Haunting Designer Series Paper, Cherry on Top Designer Series Paper and Silver Glimmer Paper. * Stamp the images from Howl-o-ween Treat Stamp Set in Tuxedo Black Memento Ink onto Whisper White card stock. Zip them through the Big Shot with the Boo to You Framelits. * Stamp the Happy Halloween from Teeny Tiny Wishes Stamp Set in Hello Honey Ink onto Whisper White card stock. Congrats all and thank you to all who left comments during the Fall Frenzy Event!! 2. 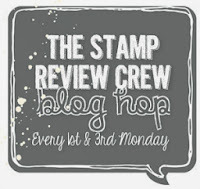 Post it to your blog or other public gallery (Stampin' Addicts, Splitcoast and etc.) using the key words Rubber Redneck Color Round Up #151 or CRU #151 (please use the key words some were or your project will not be considered for the challenge) and make sure to include a link back here to the challenge. 3. Come back here and use the inlinkz tool below to share your creation with everyone! Please do not have advertisements for products (i.e. classes, subscription services, items for sale and etc.) in your post. Please respect the rubberredneck.typepad.com site rules. I reserve the right to remove your project if it doesn’t comply with the site rules. The deadline is November 3, 2015 noon central time to enter your project!! Join me for Color Round Up Color Challenge #151! For the Rubber Redneck Color Challenge one winner will be picked I'll feature the winner's project in a blog post. * Stamp the bats from Project Life Seasonal Snapshots 2015 in Tuxedo Black Memento Ink onto the Crumb Cake card stock. 2. Zip the Cucumber Crush card stock through the Big Shot with the Lucky Stars Embossing Folder. 3. Punch out a piece of Daffodil Delight card stock with the Confetti Star Punch. 4. Add some Happy Haunting Designer Series Paper and Cherry on Top Designer Series Paper. 5. Die cut out a piece of Black Glimmer Paper with the Big Shot and Circle Framelits. 6. Stamp the image from Project Life Seasonal Snapshots 2015 in Daffodil Delight ink onto Whisper White card stock. Zip it through the Big Shot with the Tags & Labels Framelits. 7. Die cut out some stars using the Big Shot and Star Framelits. 8. Rhinestones, White Perfect Accents, Brights Designer Buttons and Silver Cording Trim add perfect accents to finish off the card. The winner for the last 4 Weeks of Halloween Project #4 Paper Kit is Marla!! Congrats Marla!!! I will be contacting you. Thank you all for leaving comments and taking part in the fun event!! Today's share is a fun card I created using the Project Life Seasonal Snapshot 2015 Bundle item #140308. You can create cards too out the Project Life items! This bundle is in the Holiday Catalog (pg. 39). Buying it in the Bundle saves you 15%. * Create a card base out of the Whisper White Thick Card Stock. Take the stamp from Project Life Seasonal Snapshot 2015 ink it Tuxedo Black Memento Ink and stamp onto the left side of the card stock. * Add one of the cards from Project Life Season Snapshot 2015 Card Collection. * On the bottom I added some Washi Tape from the Project Life Season Snapshot 2015 Accessory Pack. * I then finished it with Whisper White Baker's Twine and Rhinestone Basic Jewels. Technorati Tags: Demonstrator, Halloween, Holly Krautkremer, PLxSU, Project Life, Project Life Seasonal Snapshots 2015, Rubber Redneck, Stampin' Up!